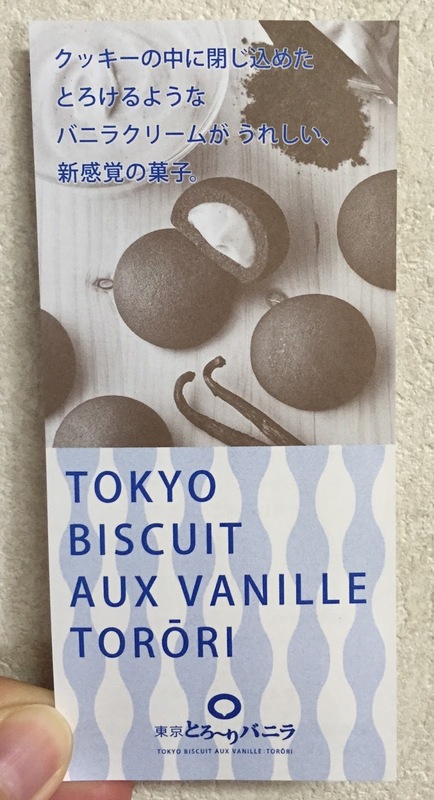 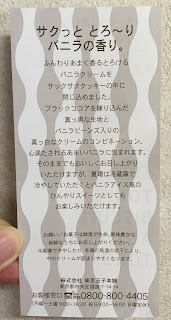 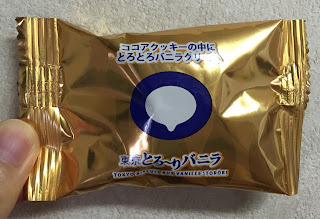 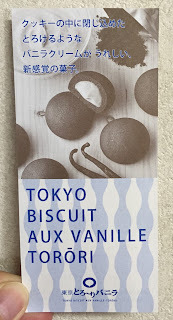 My husband bought some snacks at Haneda Airport before, and one of them was "Tokyo Toro~ri Vanilla." 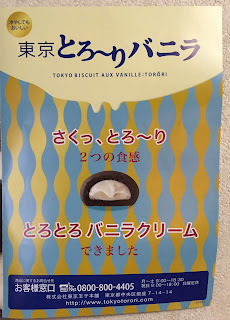 * Torori (とろり) means runny. 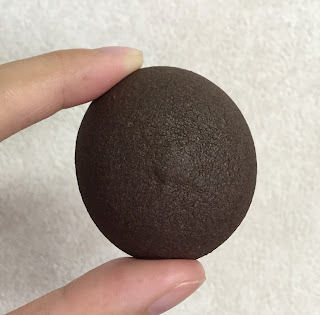 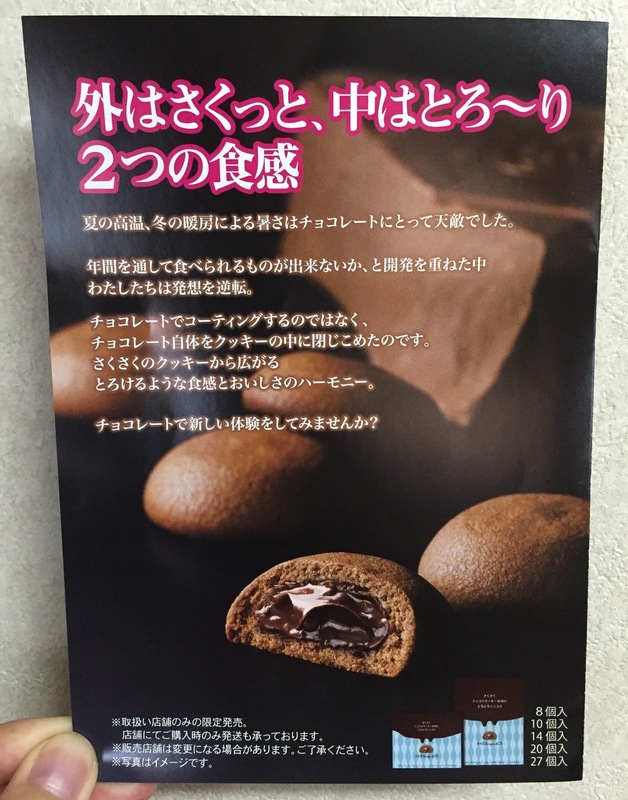 The cookie contains black cocoa powder so that it's dark, and the white filling contains vanilla beans. There's a chocolate filling version, too. 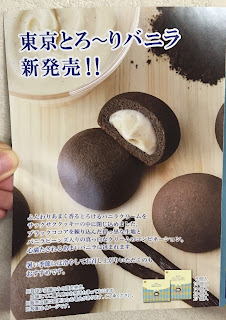 To refrigerate the cookies for summer is recommended to enjoy chilled cookies. Individually packed in a gold pouch. 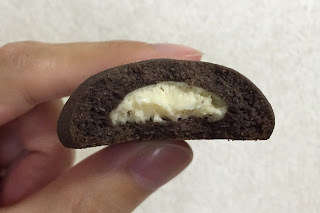 The cookie was dark and it looked almost black. 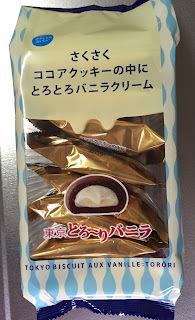 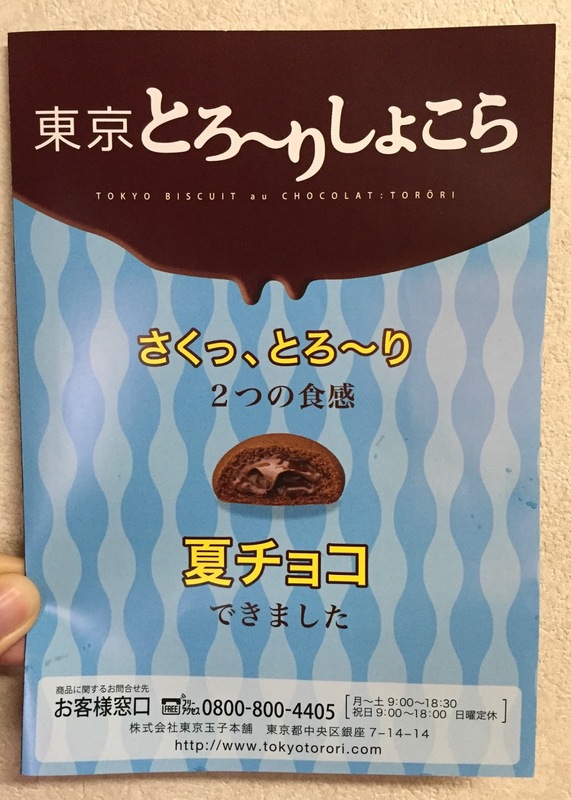 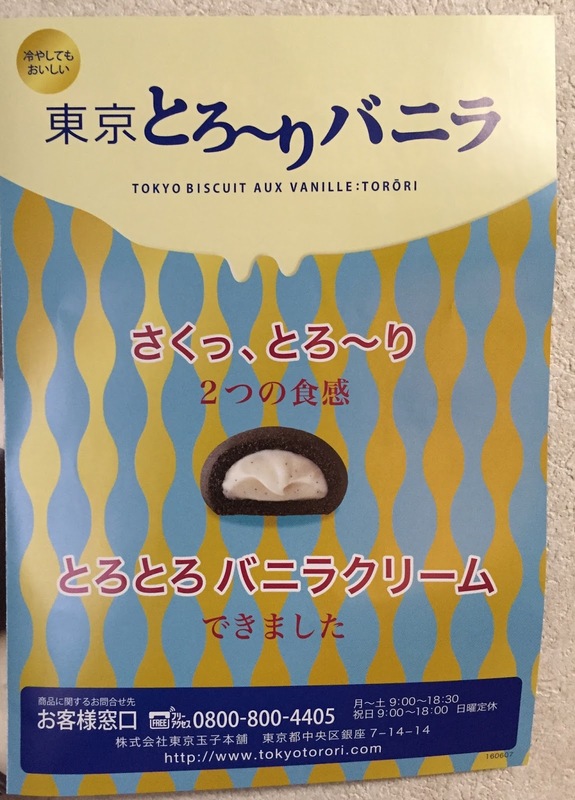 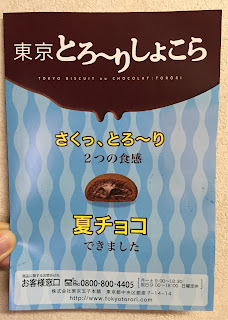 From the product name, "Torori (runny)," I had expected the filling would so soft that it'd be falling from the cookie, but though it's not chilled, the filling wasn't runny but just airy and light.